I’ve been doing The Project 333 for a year now. Where has the time gone? It’s winter now, and we’re really feeling it down here in the south of New Zealand. It has been COLD. Lots of hard frosts, lots of icy winds, and lots of high heating bills! However, thanks to The Project 333, I’m spending less on clothing than ever before, while having a wardrobe of clothing that actually fits – and that I like to wear. This season I cycled out a few items. 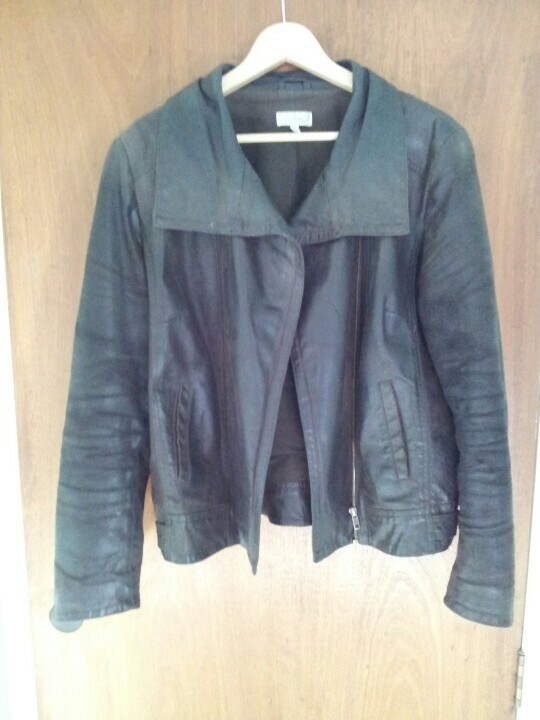 My beloved brown leather jacket has become too tatty to wear without feeling scruffy. It’s gone into a storage box, as I’m not ready to part with it – yet. Ditto my brown leather belt. I have a black leather jacket and belt that have been my “second choices” and will now come to the front. Likewise, I’ve parted with two pairs of blue jeans, as they’re now too big. The weight I put on last year has dropped off, enough that the jeans are too big. I’ve switched to wearing the black leggings I bought a few months back instead. 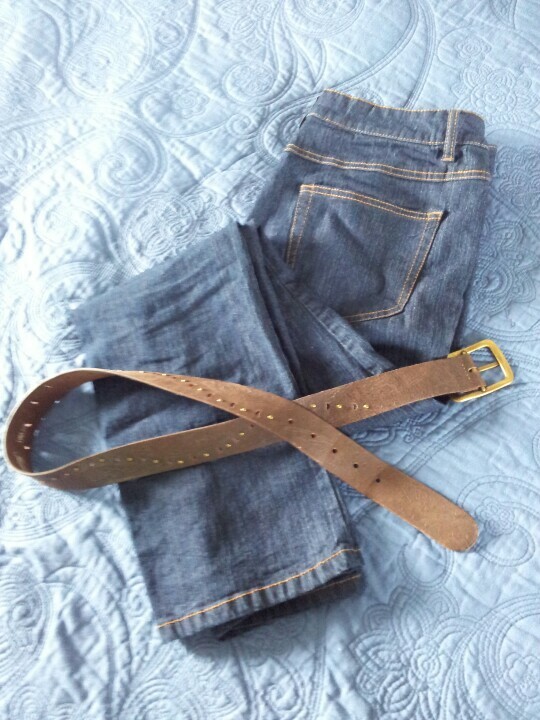 My blue jeans and brown leather belt. Both cycled out this season. The jeans don’t fit any more and the belt was too worn. Other items have been cycled back in. A black leather handbag went into storage for a few months, and now it has come back out and is being used, because it matches my jacket and belt. The Project 333 storage box system works well for this kind of thing – for items that are still in good condition, but that you may not want to give away (or sell) just yet, and that you may want to use again in a few months time. By putting them in storage, they don’t clutter up your active wardrobe. I’ve also bought some new items. This season, I bought a purple t-shirt, a black and white dress, some black leather gloves, and some black leather ankle boots. 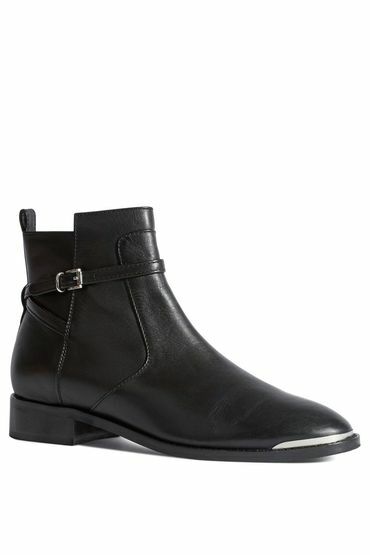 My new boots. I really needed something new, as my shoes were all pretty worn. With The project 333, you really notice the “holes” in your wardrobe – the places where you need things. In my case, I was short on general-purpose shoes to wear with, well, anything. You also get fussy. I don’t want to spend money on something that I won’t wear, so I’m very particular about what I buy. My new shirt. 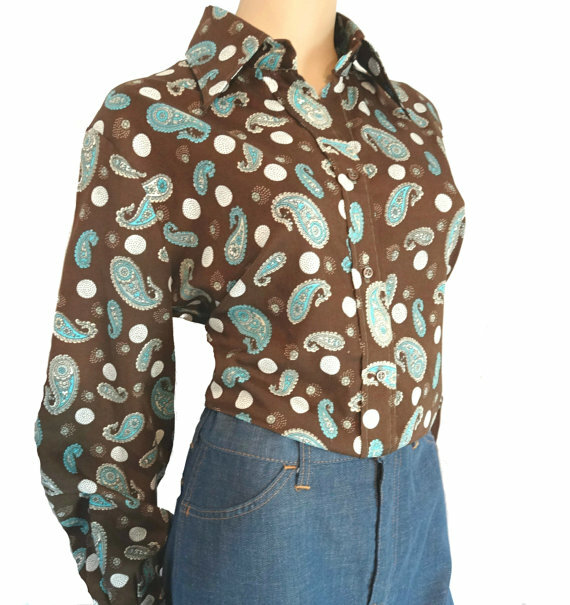 I love vintage shirts, and this one is so pretty! So that’s my update. Some items in, some out. You can follow how my wardrobe has changed over the year by clicking The Project 333 Capsule tabs on this blog – I’ve listed everything, and there are some pics. I’d recommend this Project to anyone who, like me, was a little lost at sea in the fashion world, or who used to spend a lot of money on clothes but never have anything to wear. I’m finally making friends with my wardrobe. It feels good. Are you doing The Project 333, or have you thought about doing it? What have your experiences been? I’d love to hear about it! I’ve just started my very first capsule wardrobe and am loving it! Love love love that shirt! Brown and blue is an awesome combination! I’ve just started my first capsule wardrobe after having a baby and having piles of pre baby, maternity and post baby clothes. I’m loving it. Makes me think more about what I but and I am still wearing all my favorite things. In fact I wear them more because I can find them!